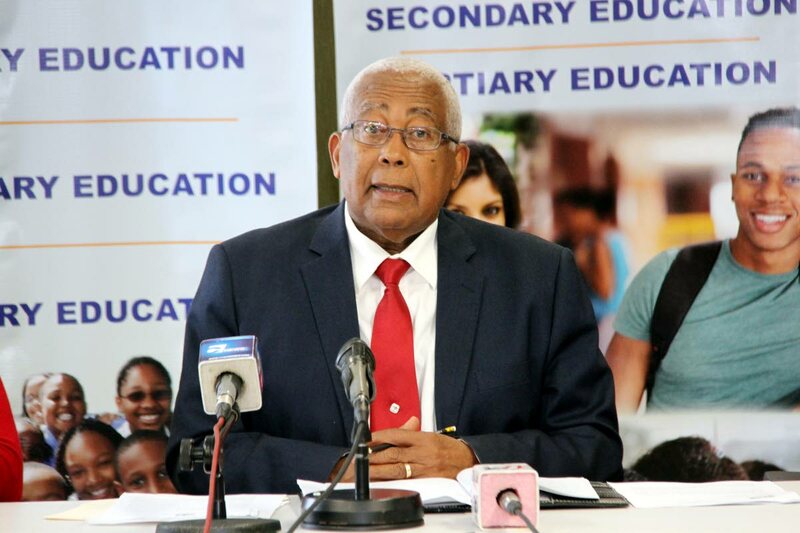 FROM September, secondary school students can look forward to new, high performance laptops as additions to their learning material, according to Education Minister Anthony Garcia who spoke at a press conference yesterday at Education Towers, Port of Spain. Garcia said the ministry is finalising the purchase and distribution of the laptops after an estimated $15 million was made available from the Ministry of Finance. However, unlike the previous programme, the current arrangement would limit the laptops’ use during school hours and will only be made available at the request of a teacher. He said while education in Information and Communications Technology (ICT) continues to assume a greater role in society, he lamented wastage which took place under the earlier programme and said the new restrictions on the laptop’s use were for the student’s benefit. “The previous programme which was in place where each child was provided one laptop each year allowed for a lot of wastage and I can assure you that about 90 per cent of those laptops either ended up in the waste bin or were left to collect dust in some cupboard where they weren’t being used. Garcia added that the laptop’s warranties, while initially valid for only six months were extended to three years as part of agreements with providers and expressed optimism that they would be useful additions to the teaching apparatus. He added that 100, three-year contracts of IT technicians have been approved by the Ministry, who will be dispatched to different schools, and will be responsible for the maintentance of the devices. Chief Education Officer Harrilal Seecharan said he expected the procurement process for the devices to be completed by July, in time for the reopening of the new school term in September. He said in the past there were challenges by teachers who were not properly trained in the use of the laptops and said teachers were exposed to 35 hours of training to ensure they were capable of using the devices from the new academic year. “In addition to the laptops there will be the provision of storage and charging cards, a number of schools there were a number of issues with respect to charging laptops. Providing laptops for use by students also requires that teachers be adequately trained to use the laptops.